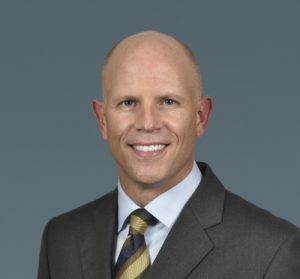 Orlando Orthopaedic Center is proud to announce Bryan L. Reuss, M.D., was the only orthopaedic physician to win the 2014 Exemplary Physician Colleague Award from the Executive Nursing Leaders at Orlando Health this week. This award was created in 2009 to honor physician colleagues for their exemplary practice at the hospital. This year, of the over 2,000 physicians on staff at Orlando Health, only 35 were selected to win this prestigious award and only one was a doctor specializing in orthopaedics. He is only the fourth orthopedic specialist to win the award since its inception five years ago.